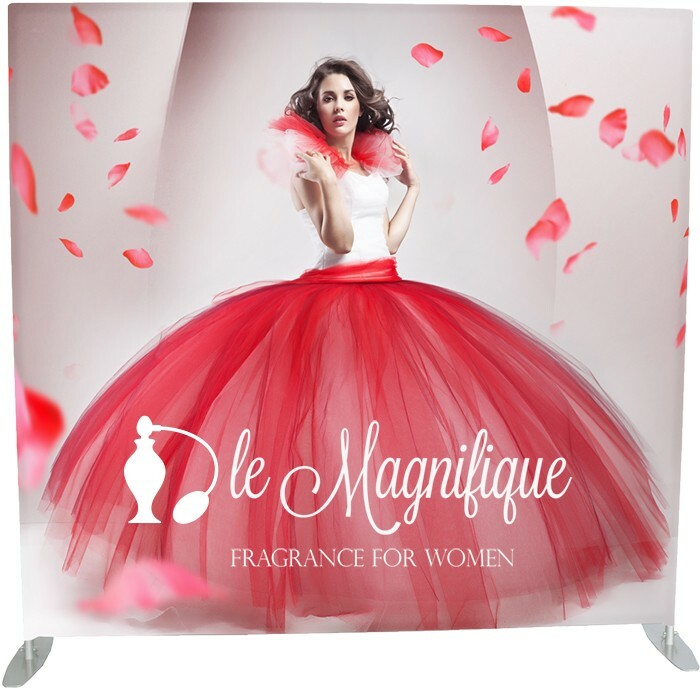 Retail Banner Displays | Product Catalog | Aprons, ETC. DESCRIPTION Expands into an X-stand. 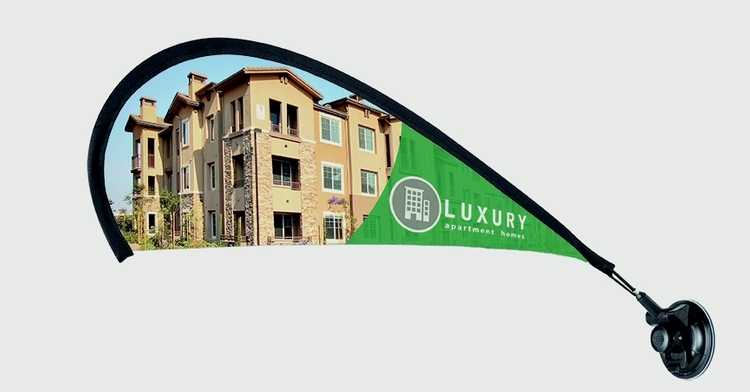 Full color curl free vinyl banner is installed using grommets in each corner. Also available in premium dye sublimated fabric. FREE nylon carry bag. FAST & FREE LINE: 5 BUSINESS DAYS IN HANDS DELIVERY, SHIPPING INCLUDED TO 1 U.S. LOCATION. CONSTRUCTION Fiberglass stand, 13 oz. Curl Free Vinyl Banner. PRODUCTION 3 Business days after eproof approval. IMPRINT AREA Banner size is imprint area. Template available on website.IMPRINT METHODFull Color Digital Direct print on vinyl or dye sublimation subsurface on white fabric. STOCK COLORS Black finish stand. DESCRIPTION Expands into an X-stand. 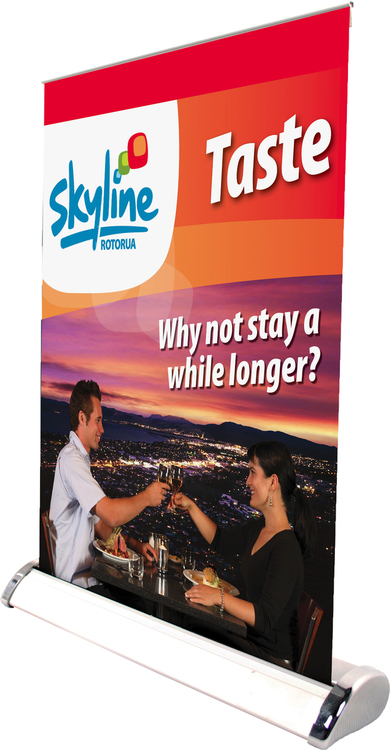 Full color curl free vinyl banner is installed using grommets in each corner. Also available in premium dye sublimated fabric. 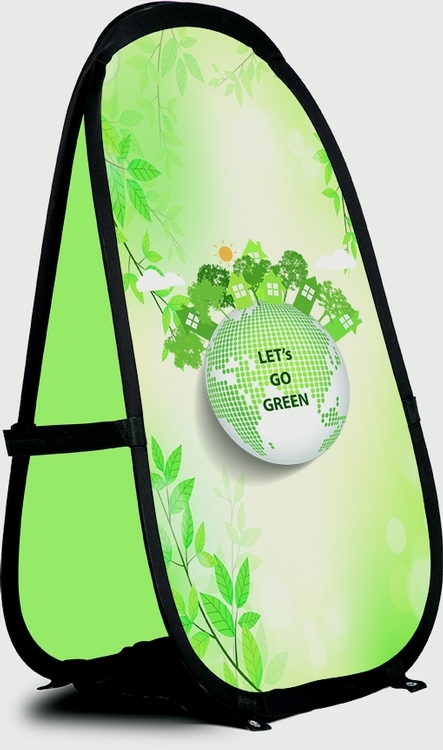 FREE nylon carry bag.FAST & FREE LINE: 5 BUSINESS DAYS IN HANDS DELIVERY, SHIPPING INCLUDED TO 1 U.S. LOCATION. CONSTRUCTION Fiberglass stand, 13 oz. Curl Free Vinyl Banner. PRODUCTION 3 Business days after eproof approval. IMPRINT AREA Banner size is imprint area. Template available on website.IMPRINT METHODFull Color Digital Direct print on vinyl or dye sublimation subsurface on white fabric. STOCK COLORS Black finish stand. 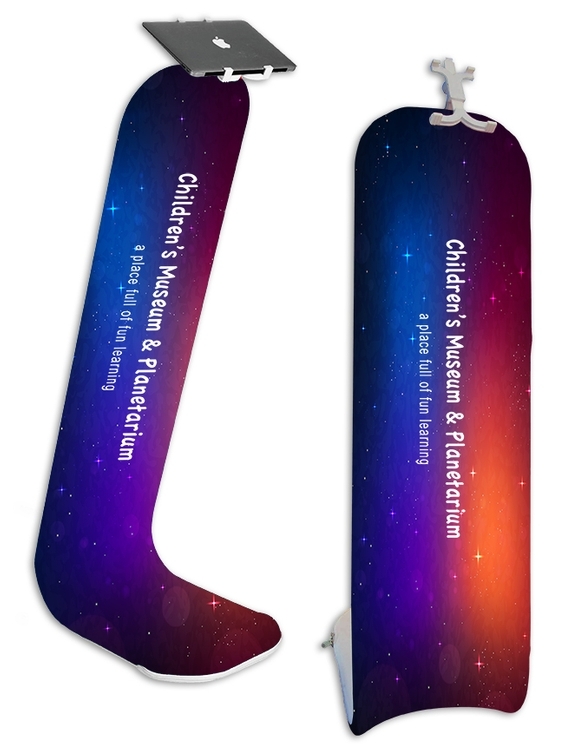 Adjusts for use with tablet (5"-10") to encourage customer interaction while branding with full color dye sublimation. 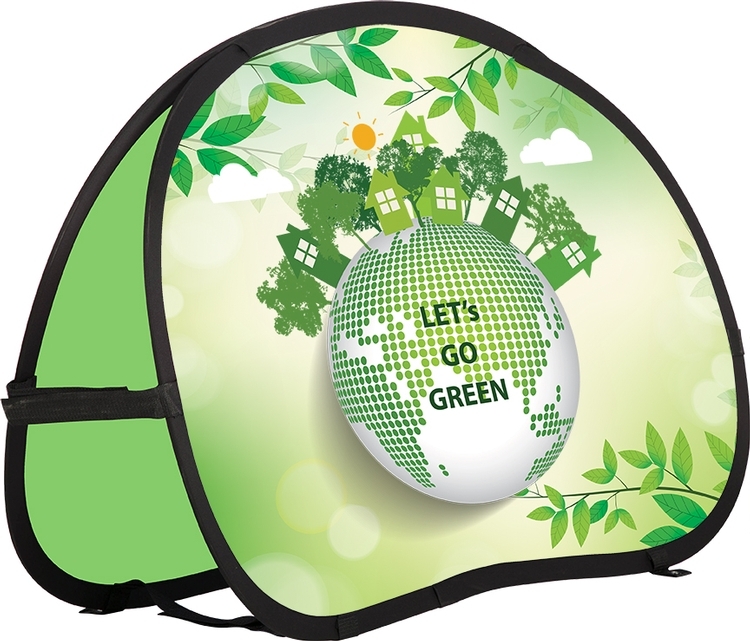 Lightweight, east to assemble stand with slipcover style graphic,. 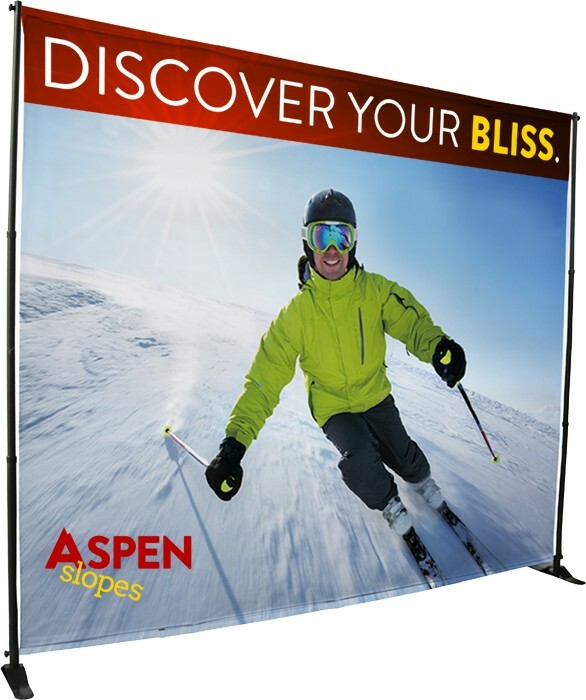 Use at trade shows, conventions, retail or as podium. Inquire for double sided print.. FAST & FREE LINE: 5 BUSINESS DAYS IN HANDS DELIVERY, INCLUDES SHIPPING TO 1 U.S. 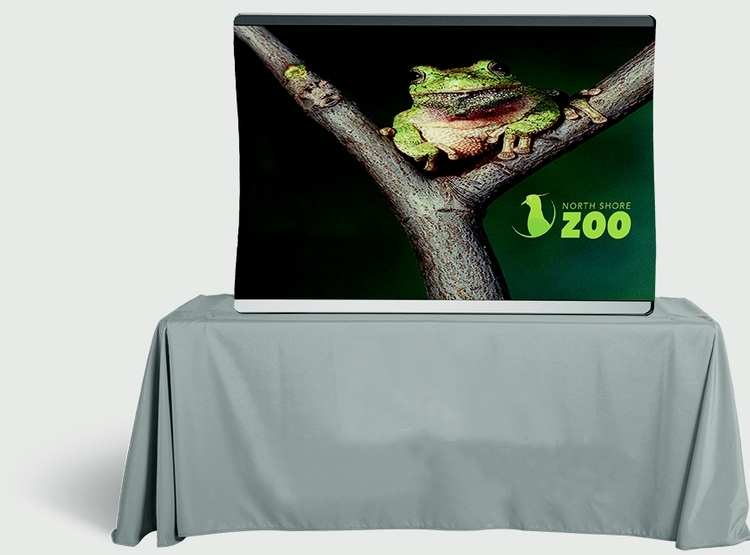 LOCATION CONSTRUCTION: Aluminum and 100% polyester stretch fabric IMPRINT AREA: 16" w x 73" h, template available.